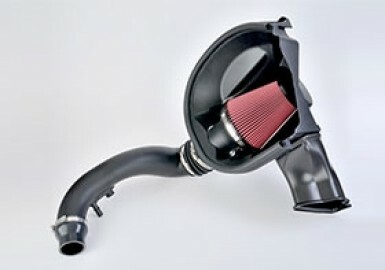 Increased engine performance of 51 RWHP and 45 ft-lb RWTQ over stock! Do you have a 2015-2017 Mustang with the I4 2.3L EcoBoost engine and want some more power without spending a fortune? You’re in luck! The ROUSH “Level 1” Performance Pac for the 2015-2017 2.3L I4 EcoBoost Mustangs adds an exceptional 51 RWHP and 45 lb-ft. of torque to the stock 2.3L Ecoboost engine. 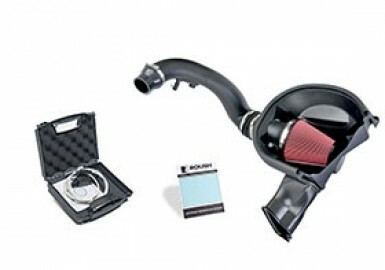 Included in this Performance Pac will be the ROUSH Performance Cold Air Intake for the 2015+ 2.3L I4 Mustang, as well as a ROUSH Re-Calibration for the vehicle’s PCM (details seen below). As if that wasn’t enough, an optional 3-year/36,000-mile ROUSH Limited Powertrain Warranty gives you confidence to crank up the power! Our cold air kits are the best in the industry, designed and tooled using factory CAD data to maximize available under-hood space, and injection molded from premium automotive grade materials for long life. An incredible 75% lower intake restriction over stock ensures you will never need to upgrade your intake. Roush calibration engineers have extensive OEM calibration experience and sweat the details to ensure strong performance without sacrificing drivability. Hundreds of hours spent in the lab and on the dyno, testing and validating rigorously, set our ROUSH calibrations apart from “guesswork” tuning found in other kits. 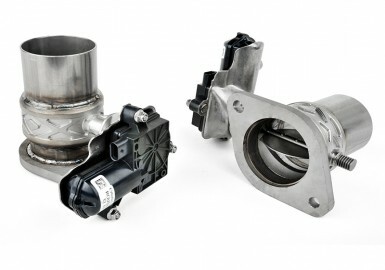 In addition to improved horsepower and torque, our kit also provides improved boost and throttle mapping that will lend a “sportier” feel right off idle to provide amazing drivability improvements all through the power band. Do you already have the ROUSH 2015-2017 I4 2.3L Mustang Axle-Back Exhaust installed? Adding this Level 1 Performance Pac to your existing setup will get you the equivalent of our “Level 2” Performance Pac System (60 RWHP/51 RWTQ)! The ROUSH calibration in our Performance Pac is easily programmed into the ECU of the vehicle via an industry standard J2534 tool & our free Roush Diagnostic Tool (RDT) software (note: dealer service charges may apply). Most dealers, should they be equipped with the proper tool, can complete the calibration process in under an hour. Our extensive list of ROUSH Performance authorized dealers can be found at the top of our web page.